The read along is from September 1st to November 7th, 2012. You can have your own pace, manage your own schedule. After finishing each part (Part 1, 2, 3, and 4) you are encouraged (but not mandatory) to write update posts (see details in Master Post). As you have your own pace, you can post update posts anytime you like, and put the link in the linky provided on Update Posts page (the linky is already opened). When you have linked your update post, don’t forget to visit others who have finished the same Part you just posted, to see about their thoughts. Each update post will be counted as one entry for my giveaway(details will follow). After finishing last part (Part 5), post your review/thoughts on Margaret Mitchell’s birthday, November 8th, 2012. For all the details, visit the Master Post and to sign-up, go HERE. Yes, yes, I know. 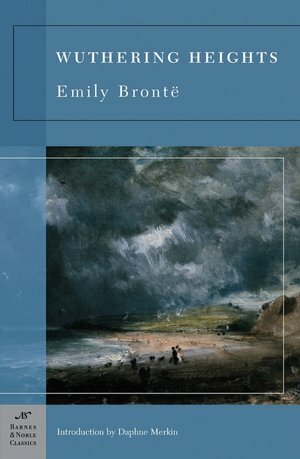 I'm a crazy loony with all these read-a-longs, but how can I resist Wuthering Heights (another re-read and favorite)? This one is hosted by Wallace at Unputdownables. It's a fairly easy one, as the book is only a bit over 300 pages and we're doing it in eight weeks...so, roughly 41 pages a week. Full details and sign-up are HERE. I thought about joining the Gone With the Wind one, but that is just too many pages in too little time for me with my reading committments right now. But I think I'm going to give the Wuthering Heights one a try. See you there! Hi Michelle, just checking in here to see your progress with GWTW. I'm already in Part 4, but still cannot enjoy it, partly because of Scarlett's annoying character, I think. What about you? Do you enjoy it so far?